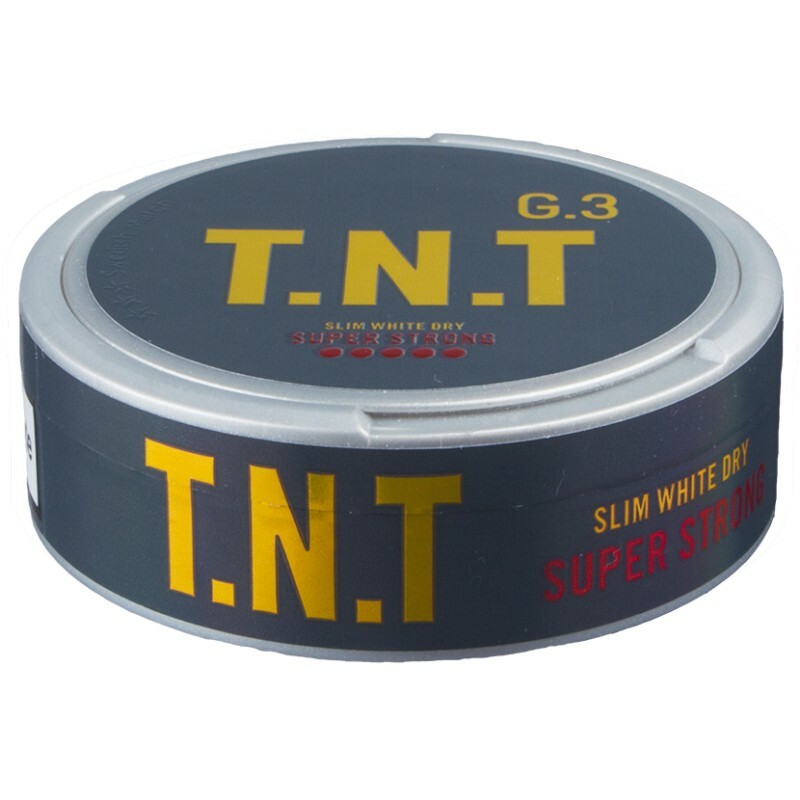 G.3 T.N.T Super Strong Slim White Dry comes with a traditional tabacco flavor and a high level of nicotine! This Swedish snus is manufactured by Swedish Match. General G.3 T.N.T Super Strong Slim White Dry from the super strong series G.3 has a clear and spicy tobacco character with hints of oak, cedar and green herbs. T.N.T has a 30% higher nicotine level compared to G.3 Extra Strong and thanks to the Slim White Dry pouches it also drips 20% less than G.3 Slim White! To sum it up this is a super strong swedish snus with classic tobacco flavor and of course, with a high quality!